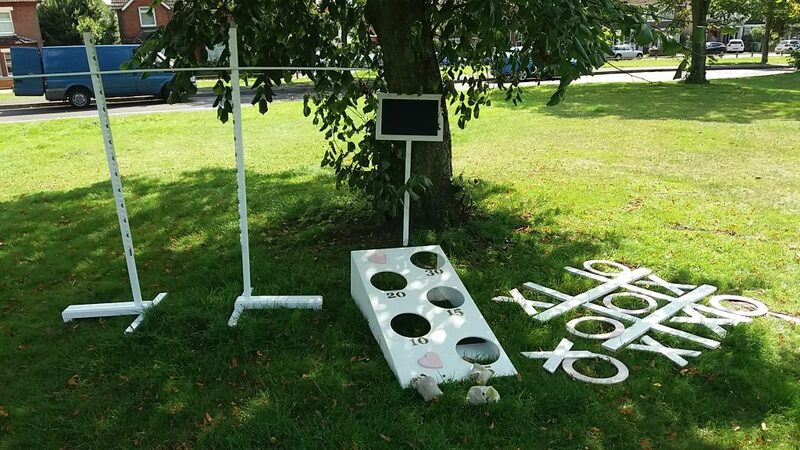 Selection of garden games which are ideal for weddings. 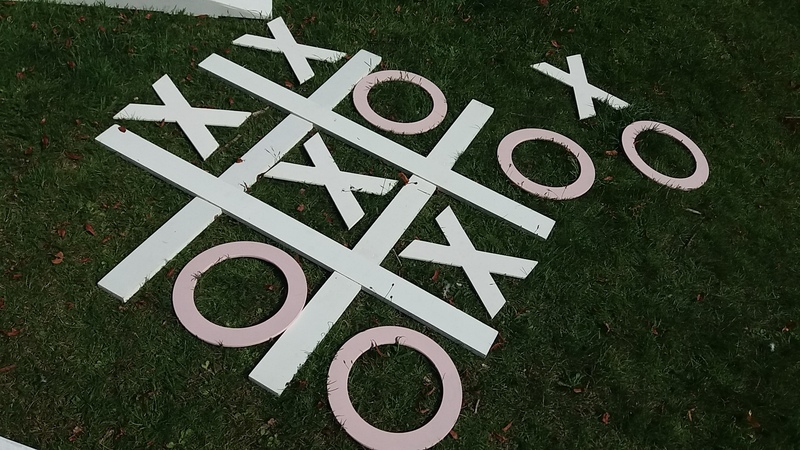 Games are painted white, with noughts and crosses in pink/white. 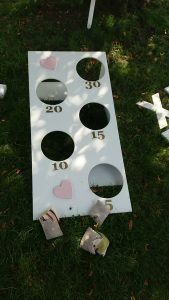 Hire price is £50 and can be collected the evening before the wedding and returned the day after. Delivery is available on Friday evening, with collection being Sunday morning, for a total cost of £65 hire charge in Southampton area. No deliveries are available on Saturdays, unless with a bouncy castle (or soft play). Items will fit in a standard family sized car.